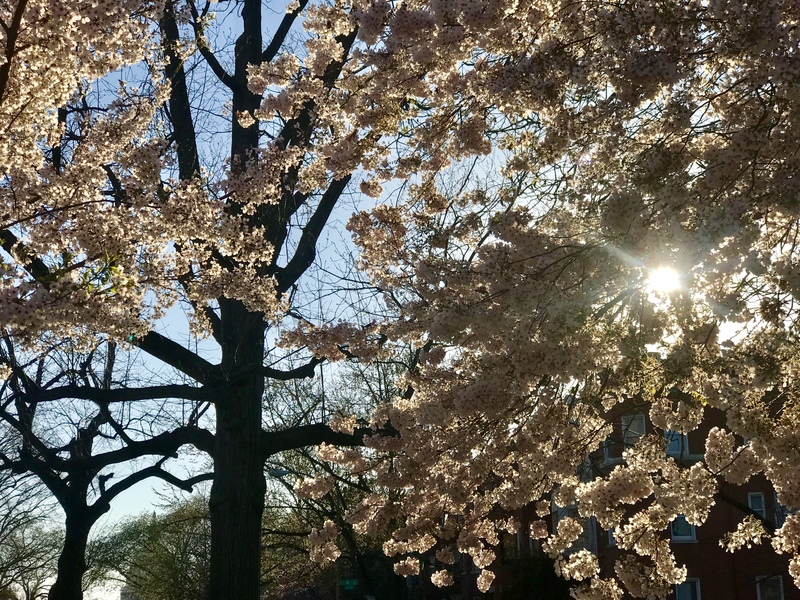 This morning it seemed that if instead of finishing my walk to work I remained still with soft gaze all day, I would be able to see the blossoms opening one by one. 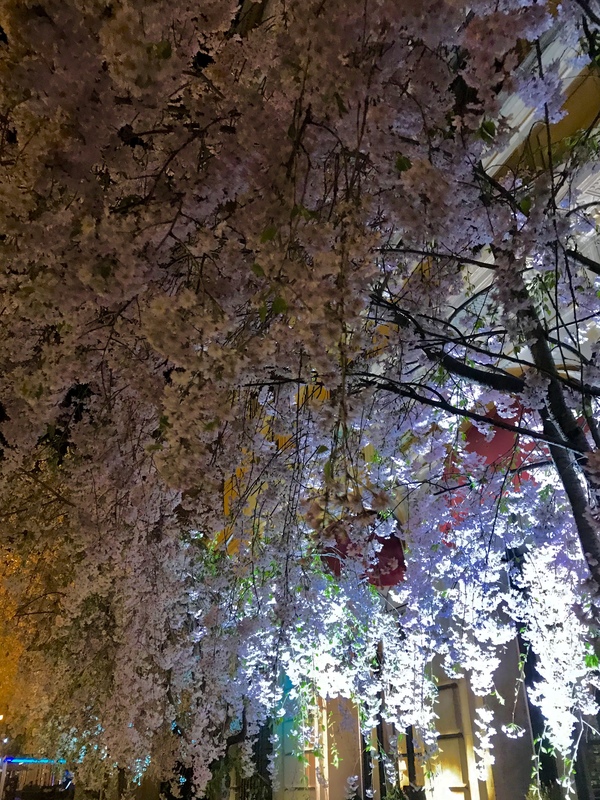 There is an unreality to the beauty of the Spring blossoms. If you look closely at the photograph, you can see how terribly dry is the ground. 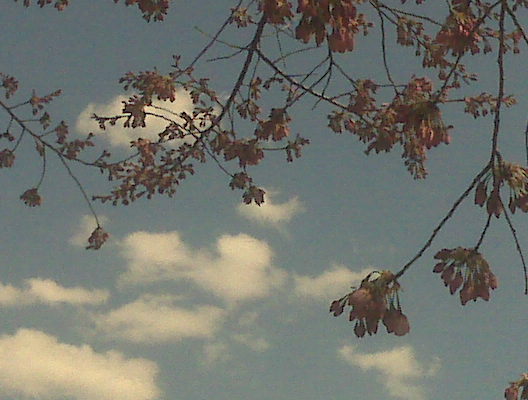 How long can trees blossom when in drought? If we fail to nourish the whole, beauty is much less likely to manifest. I have had a more stressful than usual couple of weeks at the office. 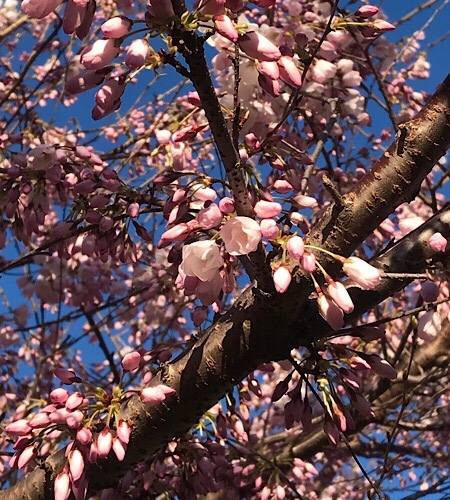 While I was walking into the office, I was thinking about how the more deadlines I needed to meet and the more difficult interchanges I had to bring to the most optimal resolution, the harder it was also to have energy to give to those who are in far greater need, though I seek ways to be of service. 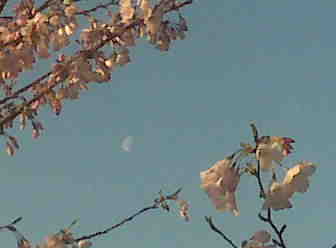 When I saw the oversized half moon dwarfed by the cherry blossoms, it helped put things in perspective. Nothing I do immediately impacts life or death. A hard week does not mean much in my life as a whole, my tribulations are only so much play in the midst of the outrageous ground of all human being, human being is only one small part of life on this planet in this galaxy in this universe, and who knows how vast is the realm of consciousness. 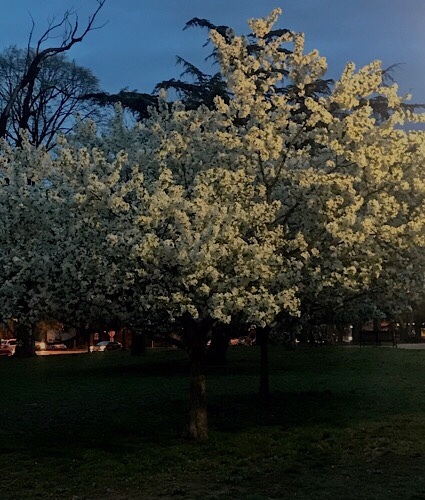 I smiled at the moon and the blossoms and thought of their beauty throughout the day.